Whether your dolls want to brave the cold weather, or just want to be stylish, there is a huge selection of American Girl Doll Boots patterns out there to make for that special little doll collector in your life. My daughters love their American Girl dolls. They especially love to dress them in styles that they see other kids wearing at school. Their dolls have to keep up with the latest fashions, don’t ya know? Now that colder weather has hit, that means they want some trendy dolly winter footwear to keep their doll’s feet nice and dry. 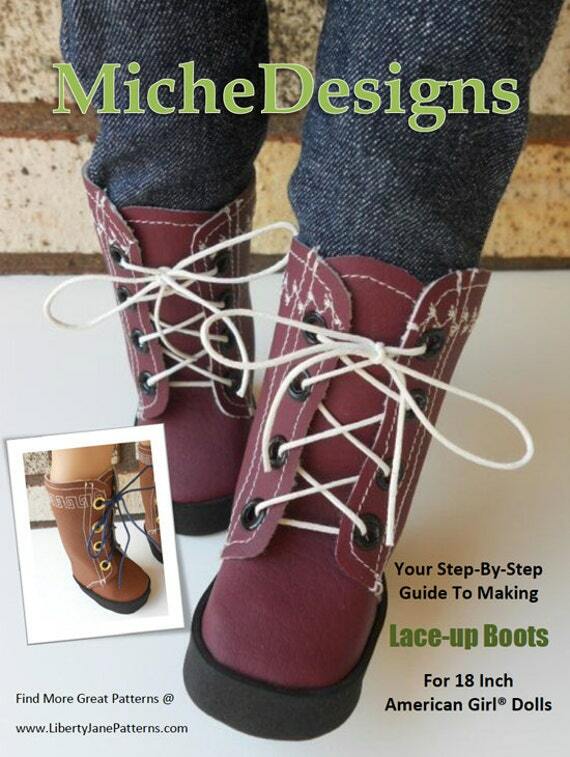 Want to make your own AG Doll boots? If you know your way around a sewing machine, or know how to crochet, there are quite a few American Girl Doll boots patterns where you can make your own. Since these are quite small pieces, they wouldn’t take long at all to whip up. 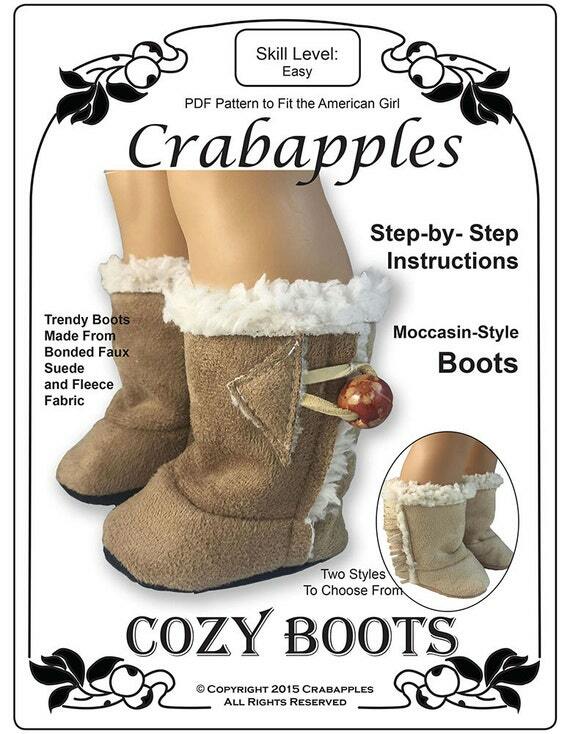 All of these patterns are from Craftsy or Etsy, so the AG Doll boots patterns are instantly downloadable after purchase. Just download, print, and get crafting! They are all such cute patterns, but I have to admit that those crochet faux Sherpa boots are my favorite. So cute! With the button on the side, they would be easy for a child to take off and on their doll. I also adore those Kaleidoscope boots. I was a child of the 80’s so those are a definite throwback to my childhood. I used to love Rainbow Brite! And the tiny little bows on the sides of those blue boots – super cute! Aren’t those Union Jack boots amazing? I just love the details from the stitching on the flag to the tiny rhinestones on the soles! And those slouch boots – I want a pair of those in my size too! Super trendy! So many cute AG doll boots to make, so little time! I am in serious awe of the talent of some of these American Girl doll boots designers. I think that cool cowboy boot sewing pattern is the one I am going to tackle next! With so many fun American Girl Doll boots patterns to make, you can keep your doll’s feet nice and cozy all winter long. Unlike more intricate patterns, shoes are relatively small and the patterns should work up quickly. So you can make boots to match all of the doll’s winter outfits! 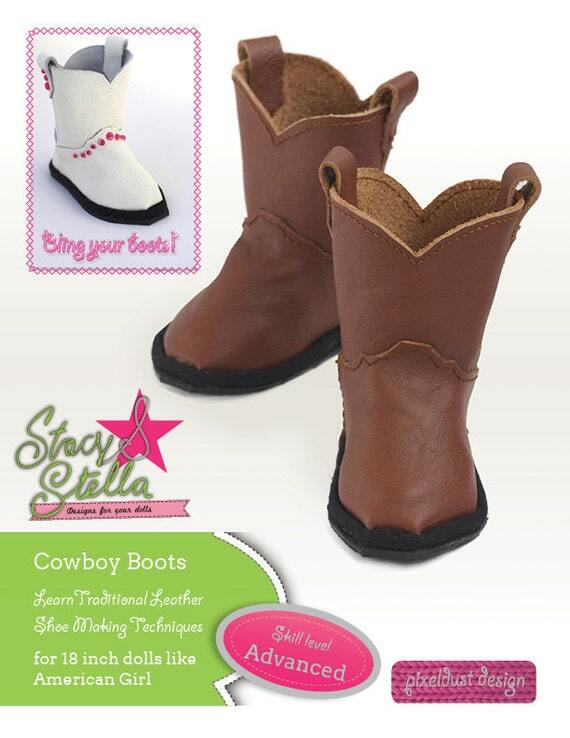 So why not make some fun AG doll boots for that special little girl in your life? After all you never can have enough doll shoes, as my daughters can attest! So tell me… Is your doll all prepared for the winter with some warm winter shoes? 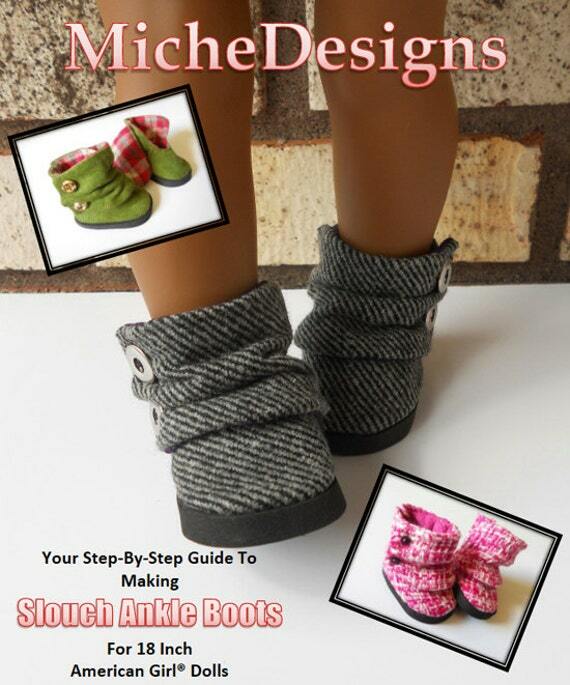 Which American Girl Doll boots patterns that I featured are your favorite?